CLINK. 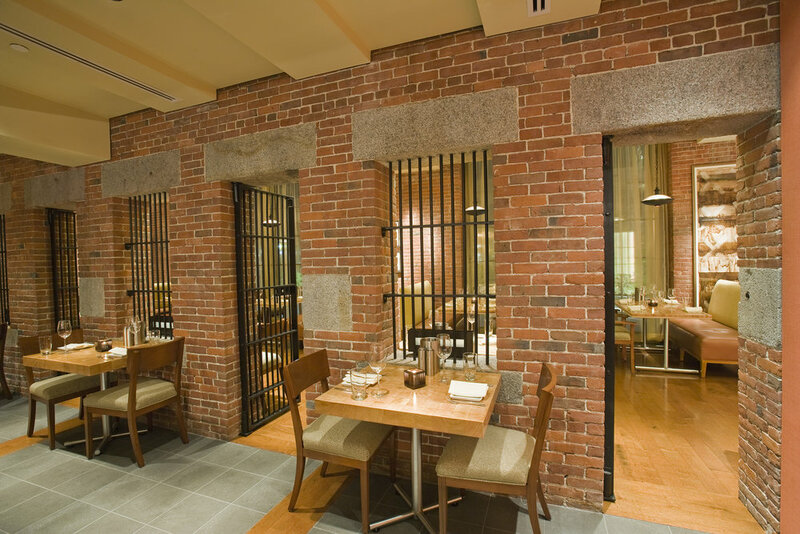 's private dining area, separated by unique detailing such as vestiges of the historic structure's original brick wall and jail cell façades, lends an exclusive feel for personalized lunches and dinners. Our CLINK. Management team works closely with each client to create a customized event; carefully planning every detail from the selection of the pre-fixe menu to the wine pairings. We can assist in making your event a distinctive and enjoyable private dining experience.